Update: On 8thOctober, Gordon and I spent a lovely sunny Sunday morning in beautiful Hyde Park, London, watching Jay running in the Royal Parks Half Marathon 2017 for KHMT. As mentioned in our previous newsletter, Jay and his wife Jilna were poisoned by carbon monoxide coming from the flat below them and, as a result, are passionate about raising more CO awareness. There was a lovely atmosphere as we walked with Jilna and members of their family to see Jay at various points in the course. 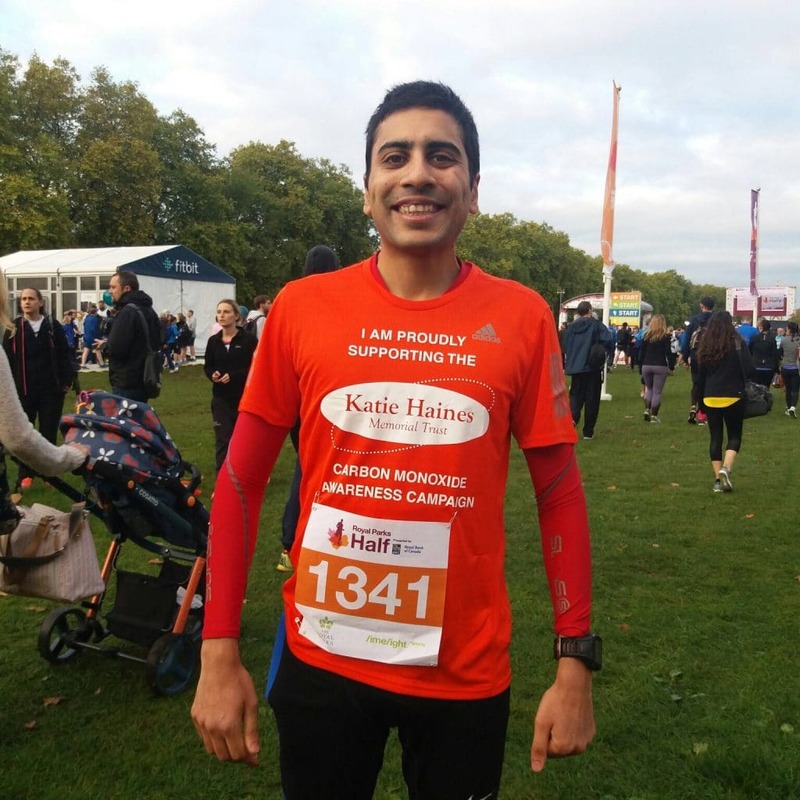 Jay said: “I’m delighted to say a total of £555.25 WAS RAISED FOR KHMT and I was able to run the event in 1hr 36mins 24 secs – my 3rdfastest half marathon to date.” A wonderful result for Jay and we thank both he and Jilna for their support.